A huge boom in natural gas production could now be coming in Australia, but in a different fashion from that in the U.S..
(AP) – First gold, then coal and iron ore. Now, a new bonanza is about to be unleashed from beneath Down Under: Australia’s got gas. It will be the next stage of a long boom that has enriched Australia and made it a key supplier of the raw materials underpinning Asia’s development—from the girders in city skyscrapers to the fuel burned to light them. “We have what the world, and particularly the rapidly growing economies of Asia, want—iron ore, energy and minerals,” said Colin Barnett, the premier of Western Australia state, which is at the heart of the new boom. The mostly desert state has become known for a frontier atmosphere not unlike that of Australia’s 19th century gold rush, the country’s first mining boom that drew enough migrants to almost triple Australia’s population within a decade. As a major source of the materials driving Asia’s economic surge, Australia has increasingly been drawn into the orbit of emerging giants China and India, spawning tensions and discord. There are also nagging worries over economic overheating and long-lasting environmental damage caused by its thriving resource industry. 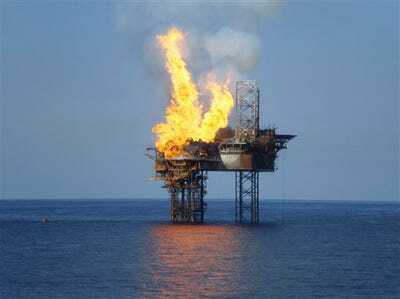 Gas was discovered off Australia’s remote northwest coast in the 1970s. But its exploitation has lagged behind iron ore and coal that have been easier to get and more in demand. Now, gas is gaining popularity as a cleaner-burning alternative to coal in power generation, with a fraction of the greenhouse gas emissions. The biggest boost in the sector came last September, when Chevron and joint venture partners ExxonMobil and Royal Dutch Shell announced they would go ahead with the massive Gorgon project. The venture will drill fields about 80 miles (130 kilometers) offshore to tap into an estimated 40 trillion cubic feet of gas, build pipelines and a liquefaction plant and port for about AU$43 billion ($41 billion)—roughly the size of Guatemala’s gross national product. If that sounds big, the numbers stack up. The decision to proceed came on the heels of news that ExxonMobil Corp. had signed a 20-year deal worth about AU$50 billion to supply PetroChina Co. with LNG from its share of Gorgon. Similar deals for Gorgon gas worth another AU$70 billion were struck with power companies in Japan, South Korea and India. The Australian government says Gorgon could generate exports worth AU$300 billion during the next 20 years. And that’s just one project. There are at least a half dozen other large gas plans in the works, including Australian company Woodside’s $12 billion plan to tap the Browse fields holding an estimated 20 trillion cubic feet of gas. Yet even as the projects pile up, Australia is trying to tamp down strains with China that have taken some of the gloss of its mineral and energy endowments. On Monday an Australian executive of mining giant Rio Tinto will face court in China charged with stealing commercial secrets in a trial Australian lawmakers are concerned is linked to Beijing’s unsuccessful campaign to get lower iron ore prices. The case has added to unease about close China relations after a string of deals for state-owned Chinese firms to buy into Australian resource projects. Other problems are local but no less intractable. Gorgon, Browse and some of the other big deposits lie off the Pilbara, a remote Outback region of Western Australia that is buffeted by a half-dozen cyclones a year and where temperatures can soar to 118 degrees (48 C). Western Australia’s few urban areas are already bursting at the seams because of the mining boom. A five-hour flight across nearly unbroken desert from Sydney, the state capital of Perth can’t build hotels fast enough to keep up with demand, and cranes building office towers dot the skyline. A severe worker shortage means companies compete for just about everyone from mine site managers to truck drivers—who can earn more than AU$120,000 a year in salary and a rest and recuperation flight to Perth every month. One of the main supply towns is Karratha, a sweltering collection of houses and a few shops and pubs nestled between hills covered in spinifex and boulders of a deep-maroon colour that belies the iron content within. It’s more than 1,000 miles (1,800 kilometers) from the nearest city, surrounded by some of Australia’s harshest territory, and there’s almost no one here but miners. A bungalow with a pool can set you back AU$2,000 a week in rent. Holland is one of the lucky ones. Rio Tinto in the 1980s offered to sell some company-owned houses to longtime workers for around AU$45,000, and he took it up. Before too long he plans to sell up and retire in comfort to Thailand. The federal government has appointed a task force to find ways to fill an expected shortfall of 70,000 construction workers in the resource sector in the next decade, with fast tracking of visas for skilled migrant workers—likely from Asia and the Middle East—a key consideration. Gorgon alone is expected to create 10,000 jobs—including several thousand workers during construction on currently uninhabited Barrow Island. Conservationists say the government should never have approved Barrow Island as a site for the liquefaction plant. The nature reserve is home to species such as the flatback turtle and the burrowing bettong, a rat-like kangaroo that no longer survives on the mainland. “I don’t see how you can have a safe operating environment for an industrial facility and also create the natural dark conditions that turtles need in order to not be disturbed from their natural nesting,” said Gilly Llewellyn, the World Wildlife Fund’s conservation manager. Chevron says the plans for Gorgon avoid conservation sites and the project is environmentally friendly because it includes plans to inject polluting carbon dioxide gases into an underground trap. Chevron did not respond to requests for an interview. Environmental concerns about the industry deepened last year after fire erupted on an oil and gas rig at a different field off the northwest coast and burned unchecked for more than two months, spilling thousands of barrels of oil into the sea. On Barrow Island, the first signs of Gorgon are starting to show. Shipping containers—entirely shrink-wrapped to prevent mainland pests such as rats or cockroaches being introduced—are being unloaded and scrub cleared for an accommodation camp, said Anne Nolan, a state government official who visited this month. Before long, it will be a bustling scene of more than 3,000 people working around the clock.